Mennonite World Conference (MWC) and Mennonite organizations collaborated to live out their faith with unified action in response to disasters that struck members of the global Anabaptist family in 2017. Torrential flooding caused by El Nino devastated homes and livelihoods of more than a million Peruvians. 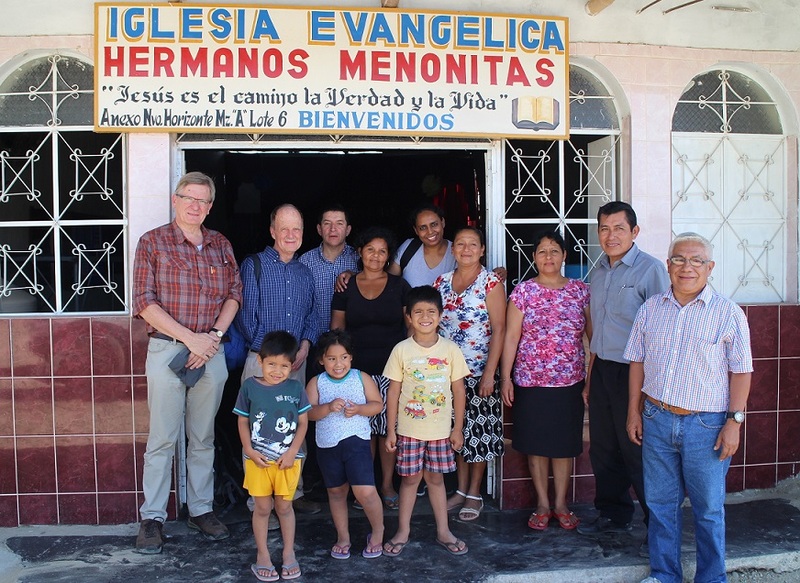 Together, Mennonite Central Committee (MCC), the International Community of Mennonite Brethren, MB Mission and MWC facilitated a six-month appointment of Antony Sanchez to assess needs, coordinate response, and train and equip the local churches to serve their communities. MWC regional representative and trauma specialist Pablo Stucky visited in April 2017 and again with a Deacons Commission delegation in October. A conflict brewing between tribal and political factions broke out into widespread violence in 2017, compelling more than a million to flee their homes, sometimes after family or neighbours were killed in front of them. Thousands of members of Communauté Mennonite au Congo, one of three Mennonite national churches, are living in the forest or have fled to refugee camps in other parts of the country or across the border to Angola, or received the hospitality of local Mennonites. MWC is cooperating with Mennonite Church Canada Witness, MCC, Mennonite Mission Network and six other Mennonite organizations on the delivery of strategic, locally sourced humanitarian assistance through churches and partners to some 200 families. A Deacons Commission delegation was scheduled to visit Congolese Mennonite churches in December. “The deacons walk with the churches, listening to their stories, praying, and showing that the global church is in solidarity with them,” says Deacons Commission chair Henk Stenvers. Anabaptist partners MCC and Brethren in Community Welfare Society are helping 323 families recover their livelihoods—fisheries, vegetable farms and kitchen gardens—and providing shelter materials and mosquito nets. In addition, the project will construct 15 boreholes and provide support to repairs to homes of seven local Brethren in Christ staff.